ICS- Institute of Chinese Studies : Untangling Chinese Aid in Africa: Does the ‘Aid for Trade’ Hypothesis hold True? China’s economic engagements with Africa have generated a great deal of hyperbole. China gives an enormous amount of aid to African countries in the form of grants, interest-free loans and concessional (or preferential) loans. 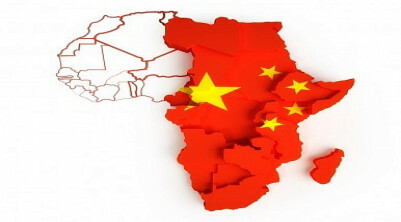 Officially, the total Chinese aid to Africa has increased to US$10.13 billion (2012) from a paltry sum of US$ 2.77 billion (2000). Meanwhile, the total bilateral trade between African countries and China has increased 20 times from US$11 billion (2000) to US$221 billion (2014). This increased trade is led by African countries and surprisingly, China ran a trade deficit with them. This study tracks Chinese aid flows to each country of Africa during the period 2000-2012 and probes its role in increasing bilateral trade between them. Findings reveal that a one per cent increase in aid allocation to Africa is associated with 0.6 per cent increase in bilateral trade, signifying that the ‘aid for trade’ hypothesis holds true.